Bethesda has announced it’s hosting a streaming event for Fallout 76 on November 8 – that’s this Thursday. It’s an unusual one given the big names that will be playing the new post-apocalyptic MMO during the event. 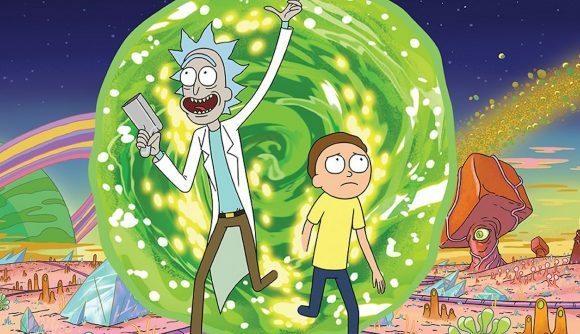 Get this: Rick and Morty (or presumably the man who voices them, Justin Roiland), big time streamer Ninja, and American rapper Logic will all be playing together. There’s no word on exactly they’ll be tasked with doing besides having to “survive together in the wasteland of Appalachia.” I guess they’ll find ways to amuse themselves and, hopefully, those of us who will be watching. If you do want to tune in to the stream you can do so at 18:00 PST / 21:00 EST on Thursday, November 8 – which is 01:00 GMT (in the morning!) on Friday, November 9 for us UK folk. You have a choice of places to tune in, which are Bethesda’s Mixer, Bethesda’s Twitch, or Microsoft’s Mixer. As the Fallout Twitter account says, you have no reason to tune in unless you have ants in your eyes, in which case maybe just listen. That Fallout 76 release date of November 14 is really creeping up on us now. If you missed the Fallout 76 beta then think of this stream as a way to check the game out before it comes out.